Hearts to the Rescue: Pembroke Pines, FL - EX-URGENT!!!! - 6 yr. old SHEPHERD/ LAB GIRL WILL BE THROWN TO THE STREETS, IF NO ONE RESCUES HER!! Pembroke Pines, FL - EX-URGENT!!!! - 6 yr. old SHEPHERD/ LAB GIRL WILL BE THROWN TO THE STREETS, IF NO ONE RESCUES HER!! Given up once due to sad circumstances, Shirley was happily reunited with her owner only to be given up again because of the owner's heartless new wife. PLEASE SHARE URGENTLY FOR A FOSTER, ADOPTER OR RESCUE! 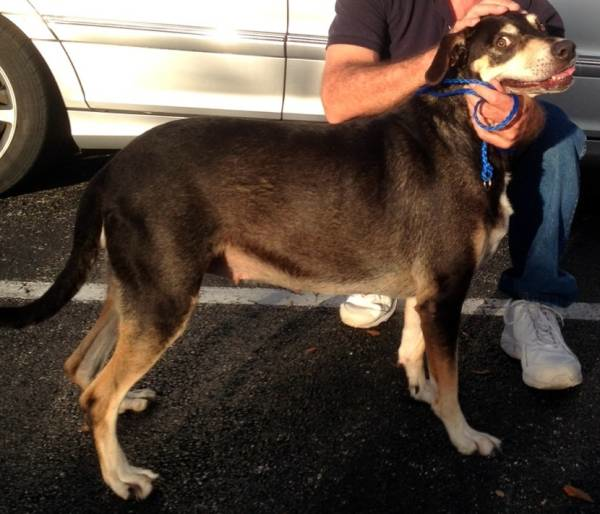 *From Maria: This is Shirley, a sweet 6 yr. old Lab Shepherd mix, who needs a new loving home. Shirley is a very good girl. She is sweet, friendly, playful, and gets along with everyone. Shirley had an owner that loved her very much, but one day her owner lost everything, and he had to give Shirley away because he could not take care of her or provide for her anymore. He found what he thought was a good newhome for her, but somehow after a couple years she ended up at a high kill shelter. The shelter contacted him, and he went and got her, but when he arrived home with the dog, his new wife gave him an ultimatum to either get rid of the dog, or leave the house, because she did not like dogs in the house. So, once again Shirley is in need of a home. She has done nothing wrong. This poor girl has been the victim of irresponsible humans, and she is paying the consequences OF BEING UNWANTED FOR NO GOOD REASON. She was so happy when she saw her former owner again, and went home with him, but now her little heart will be broken again. The wife wants Shirley to disappear immediately, so we are desperately looking for a good loving home that will care for this girl like she deserves for the rest of her days. Would you be the one to open your heart and your home to Shirley? If you want more information, or to meet Shirley, please contact Maria at: 561-289-2009. Shirley is fully vetted, spayed, and ready for her new home. She is located in Pembroke Pines. Application, references and a small re-homing fee will apply.